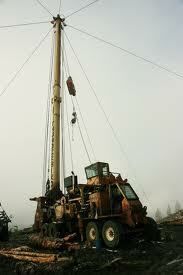 We provide full service logging harvest operations of all kinds including yarder tower and shovel logging. 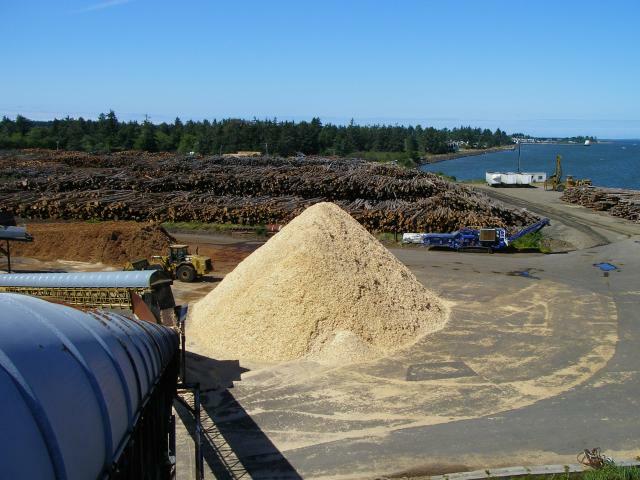 We purchase timber to produce wood chips and wood bark for sale in Warrenton, Oregon. Wood bark for landscaping or gardening is also available. A wide variety of crushed rock sizes are for sale at our rock pit in Olney, OR. In addition to usual sizes, we also produce landscape wall rock and large decorative boulders. Our rock crusher is also mobile and can be hired to crush rock at your property as needed. We also build and maintain many miles of logging roads for the State of Oregon and others. 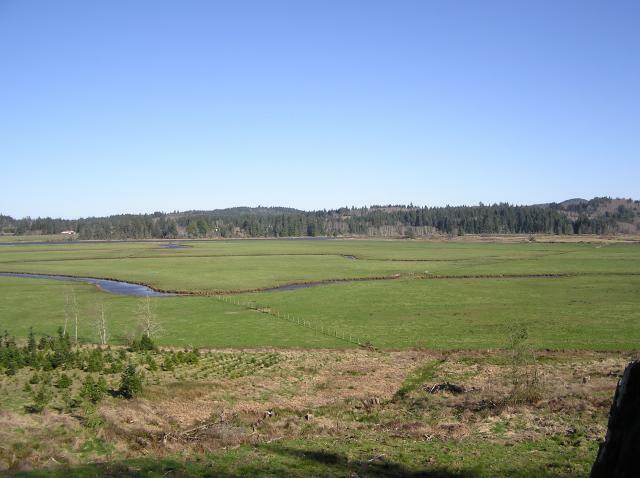 We created the 80+ acre Claremont Wetland Mitigation Land Bank that permanently protects the headwaters of the John Day River in Clatsop County and have Wetland Mitigation Credits for sale. We are also developing several areas of land for sale. We have a fleet of heavy hauling trucks that can move your heavy equipment where it needs to go. Wood Chip and Bark Piles at Tansy Point.